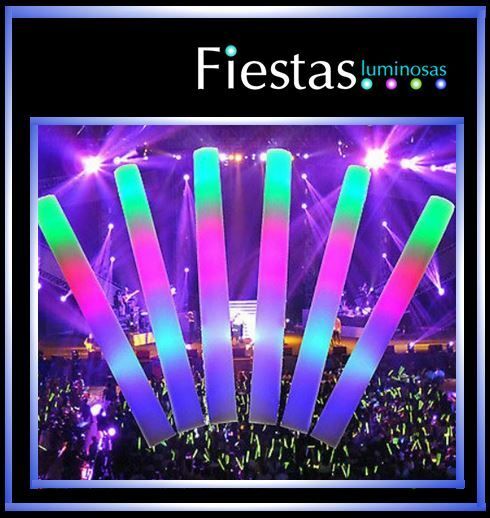 The LED light foam sticks offer a spectacular visual effect thanks to its large size and its LED flash effects. Ideal for all kinds of parties and shows. They can be switched on and off so they last hours and hours! 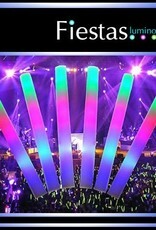 The foam sticks have 3 different effects which light up 3 LEDs multicolor, red, blue and green flashing lights. 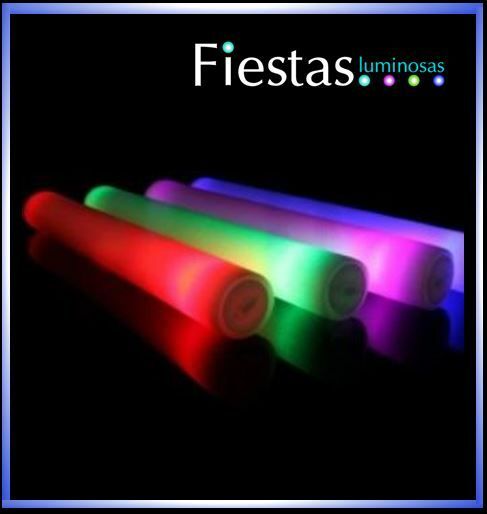 The flashing LED foam sticks are made from plastic with size 48cm long and 4cm wide. Batteries: AG13 included. Flashing modes: quick flash and slow activated by the on/off button on the base. 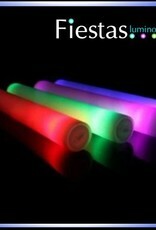 The foam sticks have flashing functions: slow, fast and very fast.